2014 ended with a bang: the stock market finished with near record highs, unemployment rates fell to 5.8% (almost a full point below predictions), and economic growth reached an 11-year high during the third quarter. As a result, small business leaders are more confident in the economy and have high expectations for 2015. The 2015 State of Small Business Report provides insight into the thoughts of SMB leaders – the challenges they face, their predictions for growth, and the business areas in which they plan to invest. 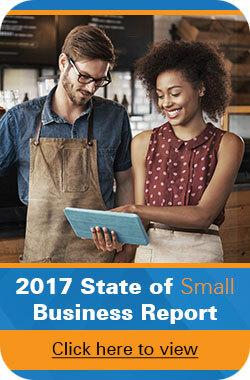 The report findings are the product of Wasp Barcode Technologies’ survey of over 1,000 small business owners and executives – specifically their views on the state of small business in 2015. Here’s a quick look at some of what Wasp learned about predictions for revenue growth, strategies for driving that growth, and anticipated hiring and spending in 2015. Although small businesses share an increased confidence in the current economy compared to this time last year – 47% of those surveyed have more confidence than 12 months ago – businesses with more employees tended to show more confidence in the economy. 51% of small businesses with 101-499 employees believe the economy is better today than it was a year ago. Company size appears to have an impact on projected IT spending. 35% of all SMBs surveyed plan to increase IT spending in 2015. This number is even higher among companies with 101-499 employees, with 46% of these small businesses expecting to increase spending on IT. Tech priorities in 2015 include replacing computer hardware and upgrading both server infrastructure and network security. What else is impacting small businesses today? Download Wasp’s free 2015 State of Small Business Report to read what small business leaders are expecting from 2015.